An undisputed, distinguished Koryphäe and preeminent in the realm of archeology with a profound pedigree and academic background that could hardly by more profound. 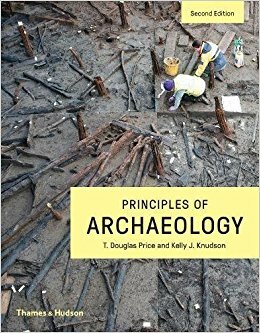 Predestined to compile a tome about methods that can be difficult to teach in the classroom with the main objective to advise practical ways of gaining an understanding of how archaeologists work. Each chapter depicts clear coverage of how archeologist approach their projects, not leaving out scientific concepts and ethical considerations beautifully and opulently illustrated with over two hundred photos and over one hundred fifty line drawings. Price manages to strike the right balance between factual guidelines and instilling a sense of scintillating excitement in a field that some might find tedious, dull and boring. He engages the reader and makes his points that focus, curiosity, a holistic worldview, wanderlust, willingness to be a team player, patience, perseverance and critical thinking skills are indispensable for anyone interested in working in the realm of archeology. An engaging introduction into the peeping Tom of the sciences - a fascinating field that opens the gates to understanding who we are and where we come from, a realm that allows to unearth objects that help to reconstruct the past and emptying out time capsules.